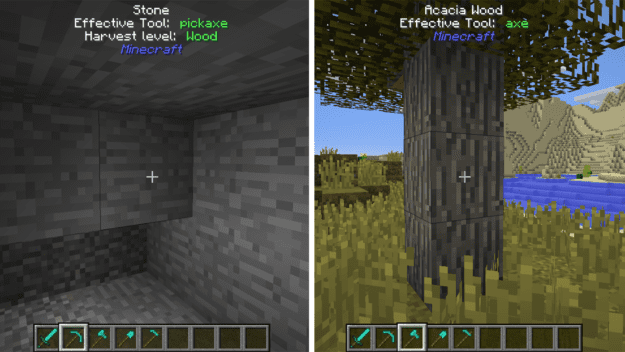 TUMAT or Tell Us More About This is an informative mod able to give brief descriptions of blocks and entities within the game. 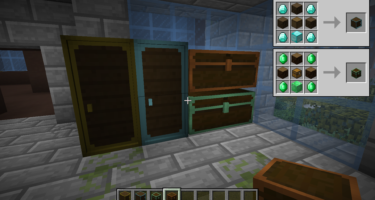 It puts the information at the top of the screen as soon as you hover over the item. 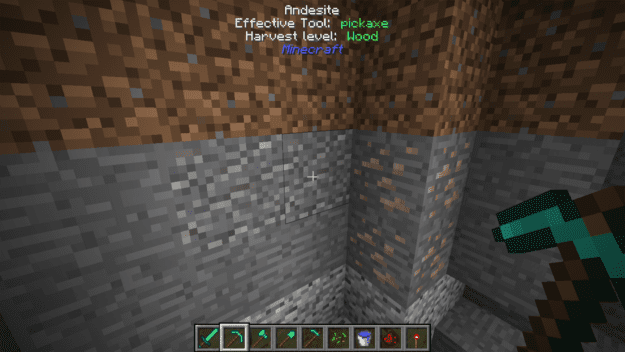 So if you need to know what type of tool to use to break a block, it will tell you what you need. 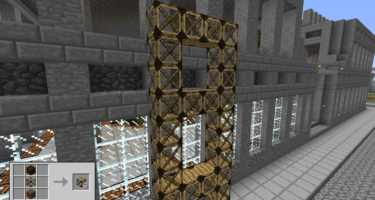 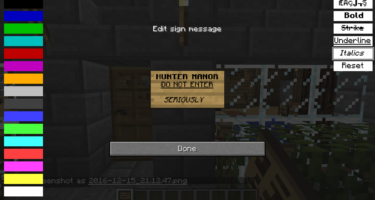 Or if you simply need to know what a block is, then this mod will help ease the confusion. 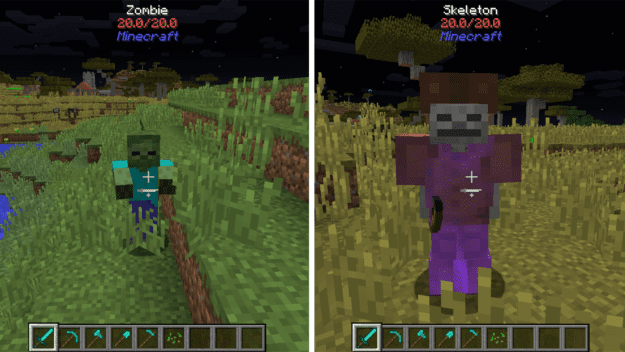 It will also show the health of mobs and enemies, so you can get a sense of what kind of danger you’re in and how many hits you’ll need to deliver. 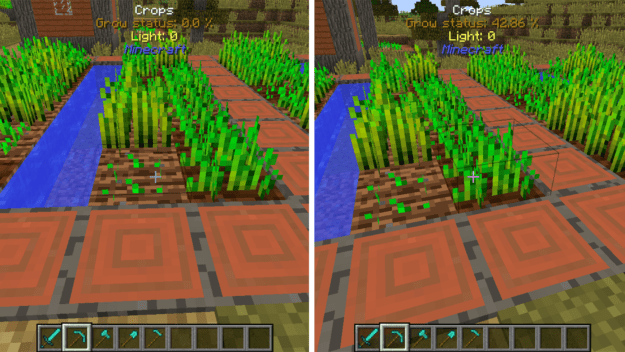 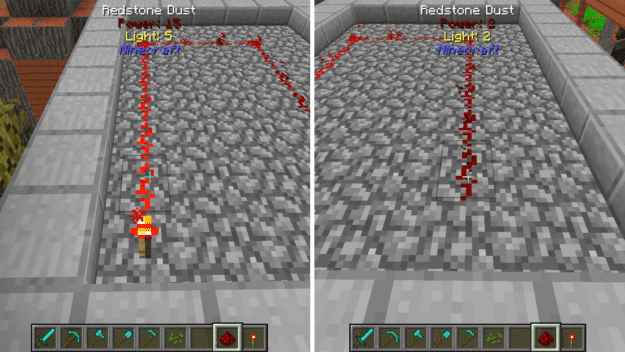 You can even use the mod to determine the growth level of crops as well as the power lever of redstone!